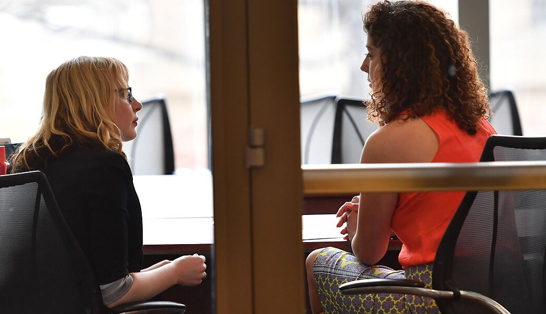 The Edward R. Murrow College of Communication alumni offer a wonderful mentoring opportunity for those HIGHLY motivated students looking for work in the communication industry upon graduation. This program is intended to leverage the talent, experience, knowledge and professional networks of alumni and other professional volunteers to coach Murrow juniors and seniors who have demonstrated the discipline and perseverance required to secure a good entry-level job in communication. To be eligible for the Murrow Mentors program, you must be a junior in good academic standing with a minimum of 60 completed credits and a maximum of 75 completed credits after grades post in May 2019. You must be certified in one of Murrow’s three degree programs. In addition, you must have completed and passed Com 300 with a C or better. Not all students will be matched with a mentor. Matching occurs in late spring/early summer for a fall start or in the winter for spring start. Matching is based on available mentors. * Strategic Communication and Communication and Society students that are matched with a mentor must also take a special ComStrat 499 directed study course entitled: Launched, in the fall of 2019. The course will be every Tuesday from 2:50-4:05 pm. Sara Stout will be facilitating this seminar-style class with guest lecturers, Rick Boyce and Anna Centrella Thayer. Both are Murrow alums that have had tremendous success in mentoring Murrow students and teaching them how to get that first big job in the industry. The Murrow Mentor student application will be available starting March 18, 2019, in Cougsync. The deadline to apply for Murrow Mentor for the fall of 2019 is April 26th at 5 pm. Please go to your Murrow Membership in Cougsync to apply. You must check email regularly to get any notifications about the program. WHO ARE THE MURROW MENTORS? The Murrow Mentors are volunteers (and not necessarily Murrow alumni) who offer their time and expertise to help Murrow juniors and seniors prepare to pursue good jobs in communication. Participating students are selected and matched to a mentor aligned with their area of specialty and, when possible, who reside in the geographical region desired by the student. Each mentor has committed to at least eight one hour meetings, conducted by phone or Skype, with their assigned student. The first meeting will occur in November with meetings scheduled through June. The eight meetings are the minimum and mentors and students are encouraged to meet more frequently if their schedules allow. Thank you for your interest in the Murrow Mentoring Program. To become a mentor, please complete this short application. Willingness to share industry expertise and professional resources [such as search firms, web sites, professional meetings] that can assist your mentee in becoming more knowledgeable in his or her chosen area. Encourage your mentee to formulate questions and identify specific issues to discuss prior to each meeting. Assist your mentee in bridging the gap between university and professional life. Provide ongoing and constructive feedback while recognizing accomplishments. Be able to commit to spending at least one year in a relationship with a student. Spend at least eight to ten hours a month engaged in a mutually agreed-upon activity with their mentee. Communicate with their mentees weekly—by telephone, email, skype, facetime, bluejeans, etc. —to keep in touch about specific objectives you’ve collaboratively identified. Honor, all commitments made to the mentee and Murrow College. Be respectful of the mentee’s time, opinions, decision-making and inexperience. Serve as a positive role model by modeling desirable behaviors—e.g. patience, tolerance, and reflective/critical listening. Be comfortable and able to establish appropriate boundaries with the mentee. Be encouraging and supportive of the mentee. Would you be willing to spend face-to-face time with your mentee, if possible? To best match students with mentors, please answer the following questions. Remember, the more time and thought you put into these answers, the better able we will be able to help pair you with the best mentee for you and their career aspirations moving forward. November/December – Student identifies a specific career objective and commits to developing resume tailored to stated objective and to bring resume to the second meeting for mentor review. January/February – Resume reviewed with, and improved by, mentor (this may require more time and collaboration than a single one-hour meeting). Student and mentor discuss a preliminary list of target industries and target companies student has an interest in. March/April – Student brings resume and list of target companies to meeting three. Mentor and student refine a list of target companies to 20 +/- and finalize resume. Define outreach and communications plan with target companies utilizing email, LinkedIn and leveraging Mentor’s network. (Spring Break is March 9 – 16, an ideal time for students to interview if they are ready). April/May/June – Refine resume, target company list, and outreach plan. Role play and practice interview techniques and answers to interview questions. Continue to leverage all relationships to drive outcome: mentor’s network, WSU and Murrow networks, other alumni, etc.